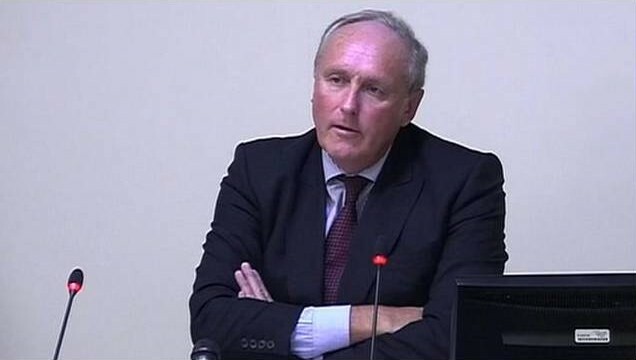 While the legendarily foul mouthed Paul Dacre and his obedient hackery at the Daily Mail will defend their front page splash today by claiming - erroneously and dishonestly - that they are merely acting to curb the availability of terrorist information, others will see their move for what it is: a deliberate and cynical attempt to hobble a competitor. As so often with the Dacre doggies, this is all about financial self-interest. 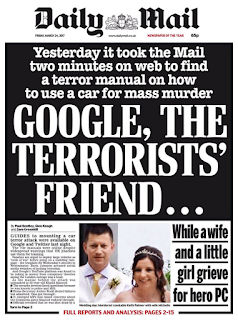 Beneath the headline “Yesterday it took the Mail two minutes on [the] web to find a terror manual on how to use a car for mass murder … GOOGLE, THE TERRORIST’S FRIEND” is a desperate smear of someone who is doing rather better with the advertisers - and proving far more popular than the Mail. And, as a perusal of the supporting article shows, the Mail is also targeting Twitter. So why dump on these players? Simples. Let’s first consider the claim that it’s only about Google. It isn’t: there are several search engines out there; it’s just that Google is the most successful. Were Google to disappear, another search engine would quickly assume prominence, be made the default for searches, and would continue to rake in all that advertising revenue. Did I say advertising revenue? 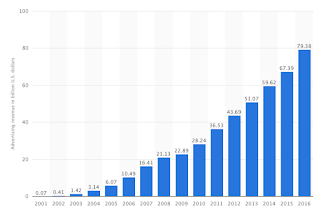 Here we get to the really sore point for the Mail: as the chart shows, Google’s income from advertising has grown from $0.07 billion in 2001 to a whopping $79.38 billion last year. But while Google continued to grow its advertising revenue last year, the Mail’s parent company experienced an 11% fall in its numbers. Twitter, in the meantime, made $641 million from advertising in the last quarter of 2015, so it’s safe to say that its revenue is well over $2 billion a year. 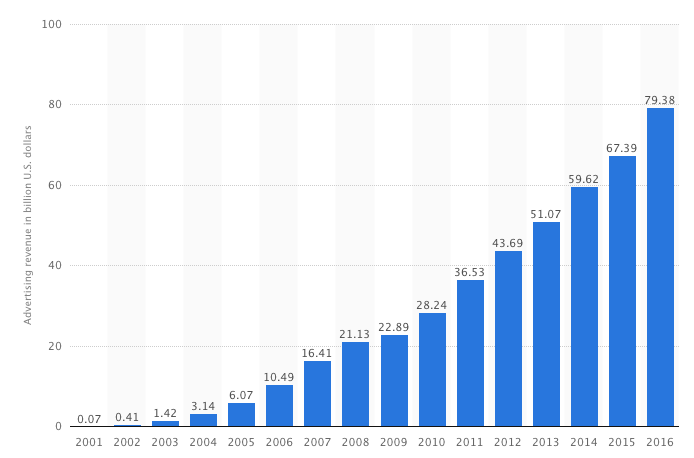 And unlike the Mail - but like Google - that revenue was growing, at around 48% year-on-year. What does that mean? Well, coupled with the culture of fear and paranoia in the Northcliffe House bunker, and the effect of feeding readers scare stories telling them to be frightened of “the other”, that means the Dacre doggies see Google making more money, compare it to their own piss-poor performance, and conclude that Google is nicking their trade. 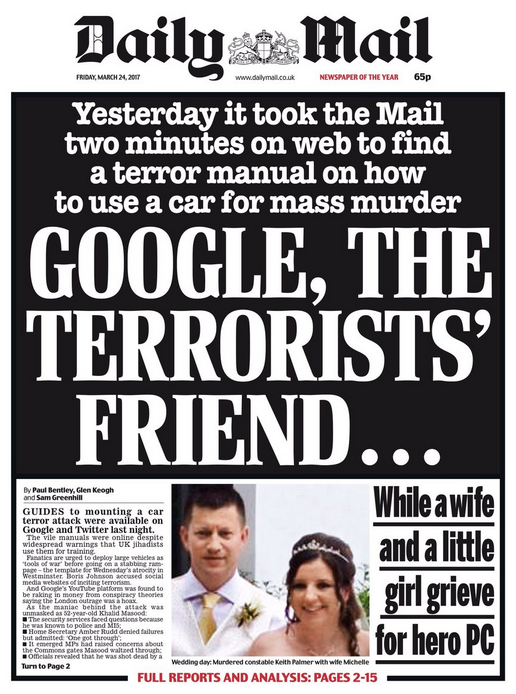 Moreover, the Mail does not do itself any favours by reproducing the cover of what it claims is a “vile manual” which is one of several “Guides to mounting a car terror attack” (the guide the Mail depicts actually shows trucks, not cars, but hey ho). But in a typically thundering Daily Mail Comment, the paper is unequivocal on the action required. “The inescapable conclusion is that these multi-billion dollar web behemoths, which have algorithms that can do virtually anything [! ], don’t care that they have become recruiting platforms for terrorists … They do nothing despite repeated pleas from politicians … this situation cannot be allowed to continue. The web giants must either clean up their acts or be made to do so by law and regulation”. How convenient for the Mail. Government must keep well clear of our free and fearless press, but the sickos at the Mail are OK to use Wednesday’s attack in London to demand that they step in and hobble the press’ competition. Meanwhile, Dacre also diverts attention away from the blagging scandal his lawyers are trying so hard to stop being made public. Hypocrisy, much? Should we be afraid of people who need to search the web for a manual on how to drive a car onto a footpath? Dacre's real competitor is not in commerce. It's in the possibility of Joe Citizen with the ability to search out the truth. If he can be arsed. Which makes Dacre and co's propaganda less effective. And look more extremist and desperate by the day. For example, every time Blair's whiney, self-pitying kipper appears on the box it reminds people of his war crimes. Which they can find in publicly available records on the internet. Which prompts the question of why he isn't arraigned in front of the International Court. That's the beauty of the internet. And why gobshite Dacre's days are numbered. It took me two minutes to find the advice to drive a large vehicle into a crowd in the Daily Mail if I wanted to kill a lot of people. The paper should be shut down forthwith. What does the fact that 3 Daily Mail "journalists" need to use a search engine to find out how to use a motor vehicle as a deadly weapon tell you about the quality of their work and their inherent intelligence? Usually when something like this happens the government are keen to blame ISIS (so-called) as a direct influence. This time they have played it down, I wonder if we should expect more attacks on Google etc? There could be a further explanation for today's headline in the Mail. Every other national daily had a headline about the attacker having been born in Dartford, so he was British. By diverting attention to Google and Twitter, the Mail can leave largely in place the myth that this was some immigrant jihadist who evaded lax border security. It's a diversion to avoid what they don't want to tell their readers too prominently, and in that way they can continue to reinforce their readers' prejudices, which is understandable in a way, just morally reprehensible.